Getting porcelain veneers is a great solution when you want to cover up some little imperfections with your smile. They can help you if your teeth have stains, gaps, cracks, chips, and more. They need to be carefully cared for in order to last as many years as possible, but if they are cared for properly, you can expect them to last you about 10 years, sometimes more. 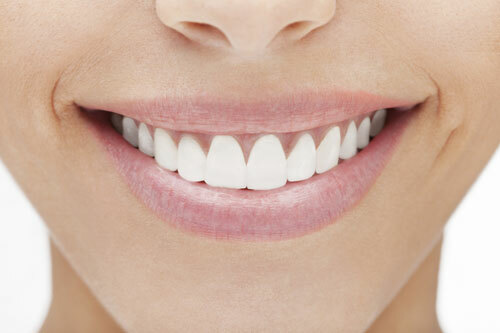 You can have teeth that look very much like your regular teeth, only nicer, when you get dental veneers, since they look just like natural teeth. Plus, your gums shouldn't become irritated when you get dental veneers placed or during the life of the veneers. Most mouths tolerate the porcelain quite well, and only very few patients ever note any type of a problem with their veneers. Another advantage is that you can pick from a few different shades of porcelain. This means that you can either match your existing teeth, or you can even pick a shade or two whiter than your teeth to give your teeth a whiter look than before you had the veneers put on. You can also determine the shape you want from your veneers, allowing them to fill in gaps, cover chips, or give your tooth an improved shape over what was there to begin with. If you want any, or all of these advantages for your teeth, then call your dentist and schedule a time to go in and talk with your dentist about getting dental veneers. They are easy, take very little time to put on (usually under a month start to finish), and last for a very long time. To find out more, contact our office and see if they believe veneers would be a good fit for you.